"Black Light finds spots where I thought I already cleaned." 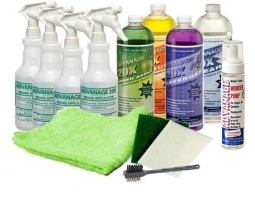 One Quart of 20X Citrus, Lavender and Green Apple plus PLUS FREE Mixing Applicator, PLUS FREE Foamer to keep the liquid cleaner from dripping, PLUS FREE Ultraviolet Black Light to uncover stains, spots, pet messes, bed bugs – even counterfeit money. Hundreds of uses. The finest multipurpose cleaner in the nation. Free Shipping. Eco friendly. Biodegradable, non-toxic, phosphate free. Safe around children and pets. Available in Citrus, Lavender, Green Apple and Clear (Odorless). "A Great deal at a great price." 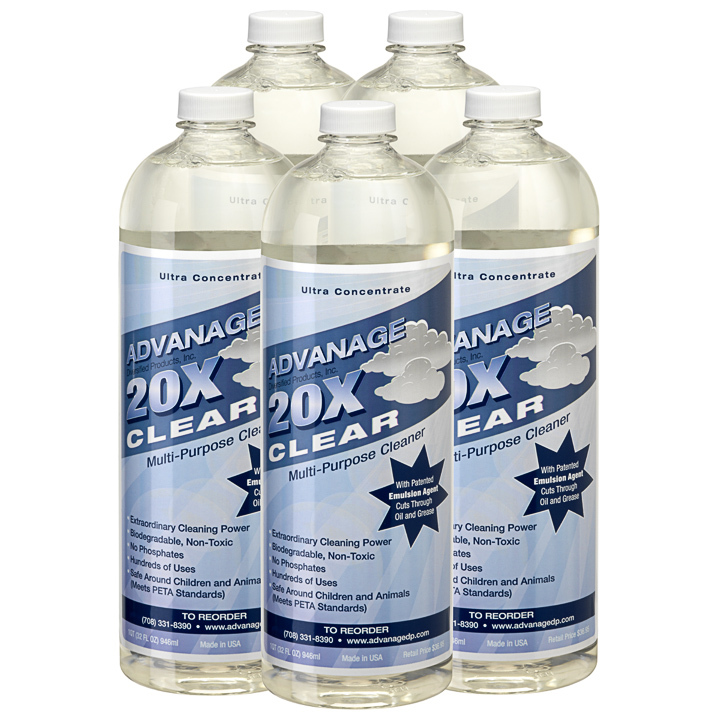 The ADVANAGE Quad Four quarts of 20X, four Mixing Applicators, Microfiber cloth, two Scrounges, Combination Brush and Foamer.